We all know it’s vital to a healthy community to support local artists and makers. But around the holiday season, it can be hard to know where to start! As a thousand big companies email you about options, remember that when you shop from a small business, an actual person does a happy dance. So visit your local, independent bookstore. Skip the cheaply printed poster for a work of original art. Delve into locally-sourced, too-fresh-to-believe food. Make the makers dance! Here are some of our favorite local makers to support during the holidays. Kaitlin Dunning of 12 Past 7 Designs illustrates colorful and whimsical prints, portraits, and patterns for all your holidays needs. 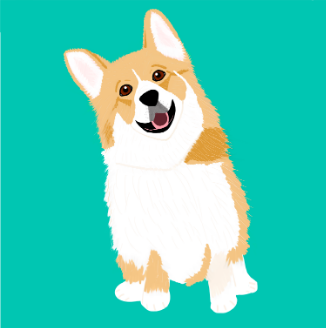 Check out her “Pawtraits” in particular for the animal love in your life! Know someone who loves stationery or maybe needs some organization in their life? Look no further than Appointed, DC’s preeminent home for refined desktop products. 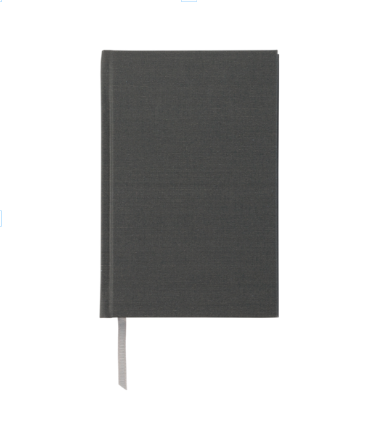 From day planners to journals, Appointed has you covered. This design studio creates jewelry inspired by famous buildings and popular landmarks from all over the world. The founder, Alissa, is a architect who decided to go “off on a tangent” and start making jewelry that captures buildings and landmarks that people love and transforms them into wearable souvenirs. If you need a gift for you favorite traveller, this might just be it. These gifting gurus create the perfect gift boxes for every gifting occasion. You can also customize boxes as well, if there isn’t already a box that fits your gifting needs. If you are in a rush, or just do not know what to get, these are your perfect solution! Calling all tea lovers! Dorpare Tea crafts beautiful blends of ginger root and fruit to make a tea that is both warm and tropical, soothing and tasty. Inspired by their upbringing by Haitian parents, Dorpare Tea wanted to create a refreshing ginger root tea that’s perfect for the tea fanatics in your life! Do you have a foodie in your life? If you do, you may want to check out The Neighborgoods collection of food inspired items, for the kitchen and everyday life. Not only do they have the cutest kitchen goods, they also make stationary, buttons, mugs, and more! Have you ever wanted to eat cookie dough straight out of the mixing bowl? Well this wonderful business has made it possible for you to satisfy your cookie dough needs! They have multiple different flavors, including some holiday inspired, and use no added preservatives (besides the few candy toppings). So whether you have a craving or know someone who would absolutely love some edible cookie dough, check them out! 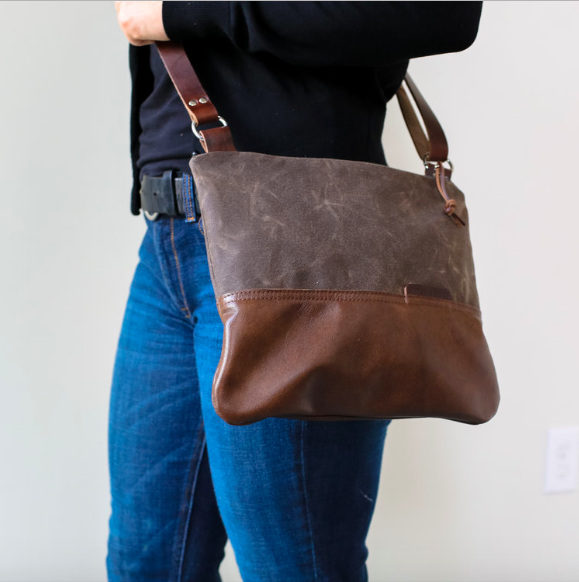 This American made bag and leather goods business creates beautiful pieces that would be a perfect gift for people who are searching to make their everyday lives more luxurious. Stitch and Rivet also makes an effort to reduce waste that is created in the making of their products, so you can be sure that you are supporting an eco-friendly, local business. The holiday season can be stressful but Handmade Habitat has you covered. Their ethos centers around clean and stress-free living. Check out their all natural soy wax candles and beauty products for a chance to spoil yourself or someone you love. We’re a little biased (maybe. just a little! ), but if you’re looking for original art made by DMV-area artists, the Studio Gallery online store has got you covered! Our artist-owned cooperative has been in operation for over fifty years. With lots of different artists to choose from, you’re sure to find a gift for any art-lover.